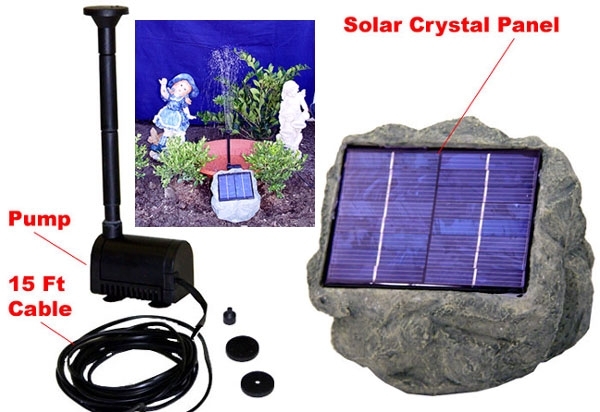 This solar rock panel is set into a rock made of resin and can be added to any existing landscape to blend in, add the submersible water fountain into your pond, fountain or pool to create a waterfall. Included are attachment heads for the pump to create different waterfall effects. It can be set up easily wherever desired without the need for batteries or wiring installation.